What are the limits on my visa, and how are they determined? The most common limitation set on U.S. visas is the time limit in which you are allowed to stay in the U.S. before going back to your home country. Depending on which type of visa you have, you may be able to extend your stay by renewing your visa without going back home first. Immigration visas must be renewed every few years, unless they are transitioned into green cards (permanent resident cards). The U.S immigration system prioritizes bringing family members together, attracting people with skills that can benefit the U.S. economy, and shielding foreign refugees. However, the government places many restrictions on immigration to the United States to control the foreign population and derive the biggest possible benefit from their presence in the country. Number of available visas. The government places caps on how many of each visa type may be granted each year. For example, only 10,000 EB-5 visas are available per year, while the number of H-1B visas may reach 65,000. If the number of applicants exceeds the number of available visas, the rest will be put on a waiting list. Nationality. The government also places a cap on the number of immigrants that may enter the U.S. from any one country. For example, no group of permanent immigrants from a single country may be greater than seven percent of the total amount of immigrants to the United States each year. Family members. The family-based immigration category allows U.S. citizens and permanent residents to bring their immediate family members to the U.S. Petitioners are allowed to apply for visas on behalf of their spouses, unmarried minor children, and parents, as long as they meet the age and financial requirements. Other family members can attain visas through the family preference system, including married or unmarried adult children and brothers and sisters of U.S. citizens. At least 226,000 preference system visas are granted per year. Employment. Employment-based immigration was created to bring in immigrants with valuable skills to benefit the U.S. economy. One of the most common types of employment visa is the H-1B visa, which is sponsored by a U.S. employer. An H-1B visa holder must work for the same U.S. employer that sponsored the visa, and the spouse and children of the H-1B visa holder are not permitted to work at all. If the H-1B visa holder is terminated or wishes to change jobs, he or she must apply for a new H-1B visa. Marriage status. There are several ways marriage can impact your U.S. visa. For instance, those who are granted a K-1 visa must enter the U.S. within six months and must marry the petitioner within 90 days of arrival. K-1 visa holders cannot marry any other U.S. citizen other than the person who filed the visa petition (without filing a new petition) and cannot adjust his or her residence status unless legally married to the US citizen who filed the K-1 petition. Ability to travel. Depending on the type of visa you have, you may be required to stay in the U.S. for a certain amount of time without traveling internationally. One of the few visas that does not have foreign travel restrictions is the O-1 visa for immigrants with extraordinary ability. If you need help applying for a visa, choosing the right investment option for your visa, or bringing your family members into the U.S., we can help. Our legal team has decades of experience representing non-citizen clients in a variety of languages, including English, Spanish, Cambodian, and Mandarin. Call us today for a free evaluation with an attorney on your immigration case, or fill out our online contact form to have one of our associates get in touch with you. Which drivers need to have SR-22 and FR-44 insurance after a DUI charge? A DUI charge in Virginia or D.C. can lead to jail time, expensive fines, and a possible revocation of your driving privileges. Even after you have served time and paid thousands of dollars, you may still have to suffer financial consequences in the years to come, especially when it comes to paying for auto insurance. Nearly every state requires drivers to carry some form of car insurance, but people who are convicted of a DUI are under much more strict regulations than other drivers. Depending on the circumstances of their arrests, DUI offenders in Virginia, Maryland, and the District may be court-ordered to provide proof of insurability (known as SR-22) or proof of financial responsibility (known as FR-44). The court will automatically require this proof of insurance if your driving privileges are taken away because of a DUI charge or reckless driving charge. Drivers who are convicted of driving offenses may have to provide an SR-22 to have their driver’s licenses reinstated. Drivers are usually required to provide SR-22 documentation for up to five years. If you allow your policy to lapse, the SR-22 will be revoked and an SR-26 (no coverage) document will be issued to the DMV. If this occurs, your driving privileges will be revoked. The FR-44 is much more severe than a SR-22 certificate. After an individual is convicted of DUI in Virginia, the DMV requires them to obtain an FR-44, otherwise known as a Financial Responsibility Certificate. The FR44 is a proof issued by the insurer to the DMV that you have valid auto insurance coverage of at least twice the state-required minimum. If you are under an FR-44 order, you must maintain coverage of 50/40/100, or $50,000 worth of bodily injury liability for one person, $40,000 worth of liability coverage for property damage, and $100,000 worth of bodily injury liability for others involved in each accident. Drivers are usually required to hold FR-44 insurance for three years, but those who wish to apply for a restricted driver’s license must carry FR-44 insurance for four years. If the court informs you that you need to file for an FR44, the first thing you need to do is contact your insurance provider and secure adequate coverage. If you modify or revoke your policy at any time, the DMV will automatically be notified by your insurer, and you will face a second suspension of your license, an increase in fines, and an extension of the required FR44 coverage time. Not only are drivers required to secure proof of insurance, they will typically pay much higher costs for insurance and suffer worse coverage rates than other drivers. Many insurance providers will deny coverage to drivers with DUI convictions—and the ones that supply coverage can charge much higher premiums as a result. However, drivers will only have to face these charges if they are convicted of a DUI, so it is vital to have an experienced traffic attorney examine your case before you plead. Call Tucker, Nong & Associates today for an evaluation of your case, or use our online contact form to have one of our associates get in touch with you. What is the difference between an A and G visa? The United States offers many opportunities for relationships with foreign governments and international organizations. Through business and diplomacy, the U.S. often opens its doors to welcome individuals who travel here for official international purposes, and the visa system reflects this wide range of opportunity. The two main types of visas for foreigners wishing to come to the U.S. as part of their duties with a government or other organization are the A and G visas. So, how does one know which visa is appropriate for which situation? Here, we explore these visas and the differences between them. What Is an A Visa? An A visa is considered a diplomatic visa for diplomats and officials of foreign governments traveling to the United States on official business for their national government. Those who typically need an A visa include heads of state or government, those coming to serve at an embassy or consulate, a government minister or cabinet member, and European Union or African Union delegation representatives. 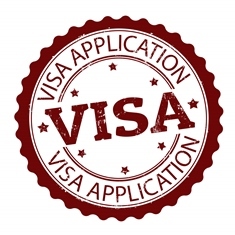 Typically, an A visa is obtained only for the purpose of official business. In one key exception, any head of state must obtain an A-1 visa regardless of the purpose of their visit to the U.S.
What Is a G Visa? A G visa is also obtained for official business purposes. G visas are for diplomats, government officials, and employees who will work for an approved international organization while they are in the U.S. There are four main classifications of G visas, which cover a range of international employees and the various types of organizations. How Do I Know Which Type of Visa I Need? Who is sending you? Employees of organizations that are not official governments would require a G visa. If you will be representing your home country’s government, an A visa would be necessary. Are you a head of state or government? Such individuals always require an A visa. What will you be doing? Military personnel would fall under the G-visa category, while anyone traveling for tourism or commercial purposes would not be eligible for an A nor a G visa. Does the American government officially recognize your country or organization? If you are traveling from a country without de jure recognition from the U.S., you would not qualify for an A visa and would need to secure a G visa instead. Additionally, if your home country is not a member of the organization for which you will be working, you would need a G visa. Is your travel related to IMF or World Bank? Matters related to IMF and World Bank would fall under the G visa category. What type of visa is required for the primary visa holder? If you are an immediate family member of the primary visa holder, you would need to apply for the same type of visa as the primary holder. If, for example, your father is the primary visa holder and has obtained an A-1 visa, you also should apply for an A visa. In general, there are stricter requirements for an A visa, as this type of visa is accompanied by more benefits than a G visa. Additionally, both visas address those employed by international organizations or governments. Local organizations or government officials are not eligible to obtain these types of visas. If you need to visit the U.S. to conduct official business on behalf of your government or organization, the experienced immigration lawyers at Tucker, Nong & Associates can help you secure the documentation you need. Our skilled legal team understands the system and can help you ensure that your stay will smooth and legal. Take a moment to fill out our online contact form to learn more and schedule a free, no-obligation consultation. When it comes to paying an attorney, many people are worried that they will not be able to afford high quality, effective representation. This is not true, however. At Tucker, Nong & Associates, our dedicated attorneys offer a number of ways to help clients obtain affordable representation. Different options are appropriate for different types of cases and budgets. One common option is a contingency fee agreement, but what exactly does this arrangement mean for you? Contingency fee agreements are popular in personal injury and workers’ compensation cases. Often, contingency fee agreements are described as a “no fee guarantee” or a “pay nothing unless we win” type of agreement. While this is true, it does not necessarily tell the whole story. With a contingency fee arrangement, the lawyer and client agree that the lawyer will take a certain percentage of any damages awarded at the end of the case as payment for their legal advice and work on the case. No money is required to be paid to the attorney up front. If the case is successful, the money will be taken directly from the settlement. If the case is lost, the lawyer will expect no fee from the client. However, this only addresses the fees a lawyer charges for his or her work on the case. The money paid to an attorney for his service is separate and distinct from other costs that may be associated with a case. Typically, it is the responsibility of the client to cover these costs. In some cases, the attorney will expect payment for these fees as they are incurred. In other arrangements, the attorney may wait until the end of the case for reimbursement of all associated costs. If this is the arrangement, it’s important for the lawyer and the client to decide what will happen if the lawsuit is unsuccessful and no verdict or settlement money is awarded. How will the associated fees be paid—a payment plan, a lump sum, through a credit card, etc. Like other details, the lawyer and client should agree on how they will address these fees before moving forward with an attorney-client relationship. 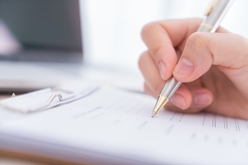 How Much Is a Typical Contingency Fee Agreement? There is not a set percentage for a contingency fee agreement. That amount is again agreed upon between attorney and client when they enter into a contract. The fee percentage can also be dictated by the type and strength of the case. Some cases are resolved through negotiations with insurance companies or opposing lawyers. Others must be decided through a trial. These latter cases require much more work and time on the part of the lawyer. It can be arranged that the fee is partially dependent on how the case is resolved, with settled cases paying a smaller percentage than those that go to court. Typically, a court or settlement award is sent to the attorney. The attorney will take his share and then pass the remaining balance onto his client. This way, the client does not have to worry about paying the lawyer, and simply is given his awarded money. Do You Need Effective and Affordable Representation? Contact Us Today. If you or someone you love has been hurt in an accident, you may wonder if you are eligible to make a claim and if you can even afford a lawyer to help you do so. The lawyers at Tucker, Nong & Associates are available to discuss your situation and help you understand your legal rights and options for hiring an attorney. We want to make sure you have all the information you need to make an informed decision to protect your rights and your family's future. Call our office in Maryland today at 301-637-5392 or in Virginia at 703-991-7978 to learn more and schedule a consultation. An EB-5 investment visa is one of many options available to immigrants to gain lawful status to live and work in the United States. This type of visa is aimed at foreign investors in American businesses. To obtain an EB-5 visa, investors must invest either $500,000 or $1,000,000 (depending on location) into an American business and work with that business over the next two years to create or retain 10 jobs. While it does require a significant investment, it can allow an investor, his spouse, and eligible children to pursue a quicker, more efficient path to citizenship and the opportunities that the American dream embodies. Over the past few years, the popularity of this type of visas has grown. In each of the last two years, the government has issued nearly the full 10,000 EB-5 investment visas allotted. While many of these investors have come from China, investors from all over the world have taken advantage of the program. For both those investors wishing to live and work in the U.S. and Americans at home, the EB-5 investment visa program offers a number of distinct advantages. Lawful status in the U.S. Obviously this is the main goal of the majority of foreign investors who apply for an EB-5 visa. The visa allows the investor, and their spouses and qualifying children, a legal path to live, work, and study in the U.S. Quicker path to permanent residence and citizenship. In many cases, the EB-5 visa can facilitate the path to permanent residence faster than other types of visas and green cards. The initial conditions of the visa can be removed after two years. Additionally, immigrants with an EB-5 visa may be eligible for citizenship in as little as 5 years after achieving permanent resident status. No visa sponsorship requirement. An EB-5 visa investor essentially acts as his own sponsor. There are no requirements outside the investment in an American business. They do not have to be sponsored by any American and group. Monetary return on investment. 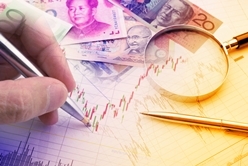 Though many of the investments serve only to help the investor gain entry into the U.S., the right investment can lead to profits and further income for the investor. The initial investment can pay off in more than U.S. status. Freedom to live and work anywhere in the U.S. Though this is not true for all those with an EB-5 visa, many investors have the option to live and work wherever they want. Other types of visas have much more strict requirements, which visa holders must follow or lose status. Education and employment opportunities for children. The EB-5 investment visa allows the children of the foreign investors to enroll in school, with access to the same education and higher education that citizens enjoy. This includes access to public and private high schools, college, and graduate schools (including medical school or law school). After their education is completed, children have access to the same professional opportunities as any other child in the U.S.
Economic stimulation. Economic growth was the founding principle of the EB-5 investment visa opportunity, and it continues to be the most significant aspect of the program. Foreign investors infuse capital into the economy, both through their investment and once they begin their day-today lives in the U.S. They shop in stores, send their children to U.S. schools, buy homes and houses, and much more. Job creation. The EB-5 visa program requires that each investment create at least 10 new jobs (or in some cases retain 10 jobs). These jobs create more opportunities for Americans to find work. Improvement to underserved locations. Some investors choose to take advantage of an aspect of the program that targets specific domestic locations and populations that are especially in need of jobs or economic growth. Known as Target Employment Areas, or TEAs, these locations are identified by the government and are typically in rural areas or areas with high unemployment. Though the EB-5 visa requires a significant investment, it is an excellent option for a faster, more effective path to citizenship for an investor and his family. If you are interested in learning more about obtaining an EB-5 visa for yourself and your family, or even if you are just wondering if it is right for you and your family, don’t hesitate to reach out to the experienced immigration lawyers at Tucker, Nong, & Associates. Call our office in Virginia at (703) 991-7978 or in Maryland at (301) 637-5392 to speak with a member of our legal team and learn more about your options. How much does it cost to hire Tucker, Nong & Associates to represent me? While many people assume hiring a lawyer has to be expensive, this is not always the case. The cost of quality legal representation in Maryland and Virginia does not have to drain your bank account. Every case is different, and the cost of our legal services can vary depending on the complexity of your issue. In general, however, the costs of hiring a lawyer can be managed, and the long term benefits of professional representation can be invaluable. Type of case. Different types of cases require different preparation, which affects the fees. Medical malpractice cases, for example, may require the finding and retaining of expert witnesses. Personal injury or crimmigration issues may necessitate further investigation than other types of cases. Type of fee agreement. Lawyers can charge for their services in a variety of ways. Flat fees, contingency agreements, hourly billing, and more are all different ways to pay for legal guidance. Contingency agreements are common in personal injury cases, and the client does not have to pay unless the case is won. In that case, the payment is drawn directly from the settlement award. The other types of billing can be discussed with your attorney, who can also help give you an estimate of how much time they think the case will take. The client and lawyer would agree on a fee structure before making their professional relationship official. Court costs and filing fees. The courts charges fees to operate. When documents must be filed, court appearances are made, and even when deliveries are made to/from the court, there are different charges that are incurred. Free consultations. A member of our experienced legal team will meet with you to discuss your case for free. At this initial meeting, we can answer your questions and help you understand more about the legal matter you are facing. 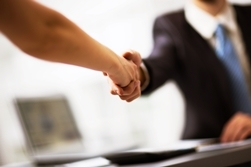 After the meeting, you can decide whether or not you want to retain our legal services. While we feel we offer relevant, important advice, you don’t have to pay us if you decide you don’t need our services after this initial consultation. Payment plans. The lawyers at Tucker, Nong, & Associates know that you work hard and your resources are valuable you and your family. We can work out payment plans to ease the stress on your budget while still retaining dedicated legal representation. The cost of not hiring a lawyer. Even seemingly straightforward cases can quickly become complicated. An experienced lawyer understands all the intricacies of local law, has experience negotiating with opposing parties, and can ensure that all documents are produced and filed appropriately. Even a small mistake or missed deadline can have serious negative consequences for a case, either financially or personally. Nearly every legal case leaves clients facing some type of financial consequences, and a skilled lawyer can work to minimize negative repercussions to achieve the most favorable outcome. Even if you aren’t sure if a lawyer can help or if you can afford one, don’t hesitate to reach out to the lawyers at Tucker, Nong & Associates. Call our Virginia office at 703-991-7978 or our Maryland location at 301-637-5392 to schedule a free, no-obligation consultation. Do I need an attorney to apply for a deferred action program? Like most immigration situations, there are many requirements that accompany the applications for the deferred action programs created by President Obama’s executive orders. While it is not mandated that applicants be represented by an attorney, those who wish to apply should give serious consideration to doing so. For many, the stakes are very high—family life, financial security, and personal safety may all depend on the status of this application. When the situation is this serious, the guidance of an experienced immigration attorney can be invaluable. Why Should I Hire an Immigration Attorney for a Deferred Action Application? Have been convicted of a crime. If you have a criminal record, it could make you an enforcement priority for removal from the United States. It is possible to address any previous charges before applying to minimize the negative consequences to your immigration status. Might be an enforcement priority. The government views anyone who has committed a felony or significant misdemeanor, has committed three misdemeanors, is a gang member, has unlawfully entered the U.S. after January 1, 2014, or poses any threat to national security or public safety as a priority for removal from the country. Have traveled outside the United States since your arrival. Part of the terms of the DACA and DAPA guidelines note that international travel is restricted during the application process. Travel after certain dates or for prolonged periods of time can be detrimental to your application. Have changed or assimilated your name. It is not uncommon for immigrants in any country to change their name to become more assimilated to the new culture. For example, Maria may start going by the name Mary or Jose can become Joe. This will not bar you from obtaining approval for the deferred action programs, but it will be important to track the use of your names over the course of your life in the U.S.
Are a step-parent applying for DAPA. The law is currently unclear on the role of step-parents as it applies to the deferred action programs. An experienced attorney may be able to investigate your situation more fully to determine how best to proceed. These situations may require other legal action to help you obtain a positive result to your deferred action application. Many times, these situations can be resolved efficiently today to prevent problems later. Even if you do not fall into any of the previously discussed categories, you may still have some cause for concern when filling out your application. The forms require a large volume of information about you and your actions over the course of many years. It is possible that you may offer information that can be used against you in the future. If the program is terminated in the future, will your current undocumented status become a problem? Additionally, there may be others in your household or place of employment who are mentioned in your application documents. If those people do not qualify for one of these programs, will sharing that information put them at risk? A skilled and experienced attorney can help you decide if either of the deferred action programs is right for you. They can help you understand more about your rights and decide how best to move forward. If one of these deferred action programs could be beneficial, they can continue to offer guidance on what information to offer and how to present it in a manner that will both support your application and protect your future status. If you or someone you love is considering an application for DACA or DAPA, the dedicated immigration lawyers at Tucker, Nong & Associates may be able to help. Call our office in Maryland at (301) 637-5392 or Virginia at (703) 991-7978 to speak with one of our multi-lingual call center operators who can answer your questions and schedule a free, no-obligation consultation. What do I need to apply for the extended DACA or DAPA? Though politics has prevented the deferred action programs from full implementation, it is never too early to start preparing for when they do take effect. When it comes to immigration matters, it is important to make sure you can provide every piece of information necessary, fill out all appropriate forms, and are ready to pay the necessary fees. Too often, simple errors in preparation can make the difference between approval and denial. The two main deferred action programs proposed by President Obama are the Deferred Action for Childhood Arrivals (DACA) and the Deferred Action for Parents of Citizens and Lawful Residents (DAPA). First, read the guidelines to see if you qualify for one of these programs. If you aren’t sure if you qualify under these guidelines, don’t hesitate to reach out to our experienced lawyers. Take a moment to fill out our online contact form, and you’ll receive a prompt response from a member of our legal team who can answer your questions and help you get started pursuing deferred action. You Qualify; So What Should You Do Now? Proof of identity – These documents could include: passport from native country, birth certificate with photo, school or military identification with photo, any U.S. immigration documents containing your name and photo. Proof you came to the U.S. before your 16th birthday – Acceptable proof could include a passport with admission stamp, school records from U.S. schools you have attended, travel records, hospital or medical records, employment records, records from a religious entity confirming your participation, dated bank transactions, auto license receipts or registration, tax receipts or insurance policies, or birth certificates of children born in the U.S. Proof of immigration status – Government forms such as forms I-94, I-95 and I-94W, or orders of deportation, removal, or exclusion would be appropriate. Proof of presence in the U.S. on June 15, 2012 – To establish your presences on this date, proof could include rent or utility bills, employment records, school records, military records, or official records from a religious entity. Proof of continuous residence since June 15, 2007 – While there is no specific requirement as to the volume of proof that will satisfy this requirement, it is important to offer documents to account for as much of the time as possible. It is recommended to offer evidence of your presence for at least each year during the period of time you arrived until your application. Proof of student status (for DACA) – This proof could include school transcripts, report cards, diploma, or GED certificate. Proof of armed forces service – Appropriate documents in this category could include military health or personnel records, an official Certificate of Release or Discharge From Active Duty, or a National Guard Report of Separation and Record of Service. It is a good idea to make copies of all these documents and store them in a safe place where you can access them easily. The documents submitted to the government do not need to be the original documents, unless the original is requested. What Else Can I Do Now to Help With the Application Process? Fees. Fees are due at the time of application, and the government does not typically offer a payment plan. There are very few situations in which the fees can be waived, so it’s a good idea to start saving now to ensure that you have the funds you need to keep your application moving. For DACA, the initial application fee is $465. Travel. Some travel outside the U.S. can negatively affect your application. Travel after certain dates or for some certain lengths of time can be viewed detrimentally by the U.S. government. You cannot travel while your application is under review, so do not plan any trips during that time. Criminal history. A criminal record can also have a negative impact on your application. If you have been arrested and/or convicted of a crime, it is a good idea to discuss your situation with an attorney experienced in both criminal charges and immigration. In many cases, there are legal options available to mitigate the effects of the charges on an immigration application. It’s never too early to start preparing yourself and your loved ones for the DACA or DAPA application. If you have questions about the process or aren’t sure where to begin, call the law offices of Tucker, Nong & Associates in Virginia at 703-991-7978 or in Maryland at 301-637-5392 to speak with an experienced attorney and learn more about your rights and options with these deferred action programs. “Crimmigration” is sometimes used as shorthand for legal matters that involve both immigration and criminal law. When a non-citizen is charged with a crime, he or she can face a number of different consequences, including deportation. In these circumstances, it is a good idea for non-citizens to consult with an attorney that has both criminal law and immigration experience. Who Might Need a Crimmigration Attorney? While criminal law and immigration law are two separate disciplines, there is an important intersection between the two. A person who has been accused of a crime while in the U.S. on a visa or as an undocumented immigrant may have to consult with two lawyers—one for criminal defense and one for immigration matters. An attorney who regularly handles both types of cases can be most helpful to non-citizen defendants. Arrest on suspicion of a crime. An undocumented immigrant may be arrested on very little evidence simply because he or she is not aware of proper police procedure. Just because a non-citizen is arrested on suspicion of driving under the influence (DUI), drug charges, theft, assault, or other felony does not automatically mean he or she can be deported. An attorney can explain your rights, evidence requirements, police actions, and provide answers to your legal questions. Pleading guilty. Some non-citizens are pressured to plead guilty to crimes they have not committed, even though they can be deported as a result. An attorney who handles criminal and immigration cases can challenge a plea agreement if the defendant was not aware of the consequences of pleading guilty, and can also prevent a deportation action based on the plea agreement. Removal defense appearances. Many non-citizens will make the mistake of appearing alone in court after they have received a Notice to Appear (NTA) document. 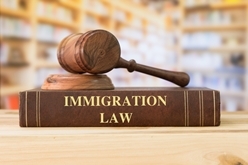 If you have been asked to appear in immigration court due to a criminal offense, it is vital that you are aware of the consequences of a conviction. An attorney can examine the charges against you and help you build a strong deportation defense. Preserving immigration status. Criminal charges can affect a non-citizen’s ability to stay in the country, but can also impact his or her pending U.S. citizenship. An attorney should examine criminal charges carefully to judge how a non-citizen’s future in the U.S. will be affected. Avoiding criminal history. A non-citizen who has been charged with a crime may have limited options when it comes to visa renewal, adjustment of status, or naturalization. An attorney can explain the legal options when applying for adjustment of status with a criminal history. Both criminal charges and immigration actions are complex areas of law, and a charge that involves both makes a case even more complex. You should not have to go into court alone—especially if you are not well-informed of your legal rights. We offer free case evaluations to assist non-citizens in criminal deportation proceedings, and can stand by your side if you have been asked to appear in court. Our attorneys and paralegals have over 100 years of combined legal experience, and can advise non-citizens of their options in a variety of languages, including English, Spanish, Russian, Ukrainian, Korean, Cambodian, Hindi, and Gujarati. Call us today for a free evaluation of your case, or fill out our online contact form to have one of our associates get in touch with you. There really aren’t any clear answers on the issue of whether to submit to breath testing after a DUI stop in Virginia. The only specifically defined line out there is the .08 limit. With a blood alcohol content at .08 or above, there’s a legal presumption that you’re under the influence. You have the burden of rebutting that presumption. How that limit might be determined when a person was operating a motor vehicle is subject to argument, particularly when a blood alcohol breath test is taken an hour or two or even longer after a traffic stop. Like all other states, Virginia has an implied consent law. By the mere act of operating a motor in Virginia, the driver gives their consent for breath and/or blood testing within three hours of a traffic stop if they’re suspected of driving while intoxicated. Contrary to what many people believe, you’re not required to submit to blood alcohol breath testing after a DUI stop. The officer that stops you might try to make you feel that you have to, but you have a right to refuse breath testing. The problem with that is even if you haven’t been drinking, there’s a very high likelihood you’ll be taken into custody for a DUI because you refused the test, particularly if you didn’t perform satisfactorily on any field sobriety tests. By the way, you don’t have to take those either. The officer will tell you with a very authoritative voice that they want you to take tests. Those are mere requests. You don’t have to take any field sobriety or portable breath tests. There are no penalties for refusing to perform field sobriety tests, but there are penalties for refusing to perform breath testing at the police station or other facility. Don’t confuse portable breath testing at the scene with breath testing at the station. There are no consequences for refusing portable breath testing. At the station, if you are asked to perform a blood alcohol breath test and you unreasonably refuse, you can be convicted of a civil violation if it’s your first offense. Just about every refusal is deemed unreasonable by the courts. If convicted, the fine is $500 and your driver’s license will be suspended for a year. Upon a conviction, a restricted license will not be permitted. A second conviction for an unreasonable refusal within 10 years is considered a criminal offense. It’s punishable by a three year suspension. The decision on whether to submit to breath testing depends on the facts and circumstances surrounding every suspected DUI stop. The first rule of submitting to breath testing is that if you’ve been drinking, and you consent to breath testing, you’re probably giving the prosecution precisely the evidence that they need to convict you. You can even be convicted of DUI with a blood alcohol content less than .08. If you’ve been drinking and you’re in an accident, even if it’s not your fault, you probably don’t want to perform any field sobriety or breath tests. Next, if you have a prior record of an alcohol related driving offense, you probably want to exercise the no field tests and no blow option. It’s highly likely that a prior alcohol related driving offense will come up to bite you again in charging and/or sentencing. A third DUI in Virginia is ordinarily charged as a felony with mandatory incarceration upon conviction. Other than a client who has been arrested for DUI that hasn’t been drinking, the DUI lawyer’s favorite client is the client who performed no field sobriety tests and no breath tests. In those cases, unless there’s damaging video, it’s the police officer’s word against the driver’s word. That’s not enough evidence to convict a person beyond a reasonable doubt. The decision will be up to you, but if you drink and drive, you’ll eventually need to decide on whether to take a breath test in the future. If you have been arrested or charged with a DUI or DWI, contact us quickly for assistance.